Edinburgh is a great city, it has a lot going on all year round and for such a small place has a lot going on in terms of activities, festivals, culture, drinking and of course getting. Edinburgh is also a major destination for rugby with certain weekends meaning the whole of the city is booked out in terms of accommodation, it's well worth seeing a much at Murrayfield Stadium if there is a game on when you're visiting. The comedy Festival the fringe and also the summer festival in Edinburgh is normally in August to do try to avoid coming to Edinburgh if you're large group as you will find it costly. 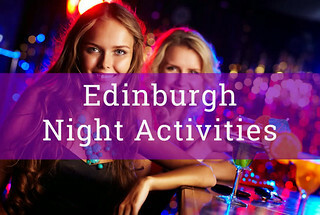 Edinburgh has a great selection of bars and clubs for all tastes in music and age groups with places like the Grassmarket and around the George Street area also known as the new town been very popular in the evenings. Finally they got round to finishing the tram making it pretty easy to get around. 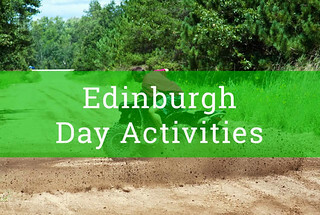 There are some great indoor and outdoor activities in and surrounding the capital, we can help you plan your activities and put it together with transport if required.